Ben Carson has a difficult relationship with the truth. He gets his facts a bit confused on a regular basis. At times, he misspeaks. 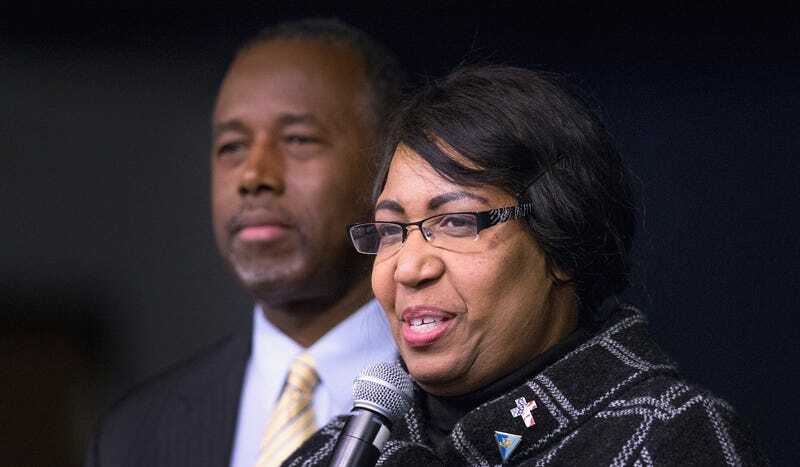 Oh, hell, Ben Carson flat out lies all the time, and it looks like his wife Candy has adopted that same trait. Well, yes, except that the laws of physics are real laws that don’t just sort of randomly stop working. Candy then added that that’s when she and Ben knew that God had a purpose for their lives. So thanks, God. And thank you, Candy, for this incredibly believable story.